If Angry Birds is the iconic representation of mobile gaming of the modern day, then FarmVille has to epitomize the social gaming made possible by the likes of Facebook. 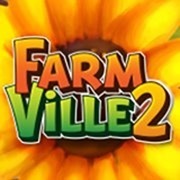 Having witnessed grown men discussing their virtual farms in Starbucks, it’s a tad comedic to see just how gripped many folk were by the title, and for those who’ve just finished weaning themselves from the original edition of FarmVille, you’ll be pleased to know FarmVille 2 has just arrived! If you’re one of the very few people not have heard of FarmVille, then perhaps a little background information is in order. Basically, the game allows you to run your own farm; tending to land, planting crops for harvest, and looking after animals – as well as other, miscellaneous farm stuff. You move up levels as you do a good job, and to add a neat social aspect to proceedings, users can also add neighbors (including those that are not Facebook friends). The title was brought to the fray by none other than casual gaming powerhouse Zynga, and the decidedly divisive title is back for a second innings. Far from merely adding a couple of aesthetic improvements (something that happens all-too often with sequels), Zynga has really put some work into making the FarmVille experience even more rich and exciting for its army of farmers. Among other features, there’s a 3D Camera, which utilizes the power of Flash 11 to give FarmVille 2 a nice, three-dimensional perspective. You’ll still see everything in isometric projection, but it’s certainly a massive improvement, and makes the game – dare I say it – slightly more playable. It’s also a lot more realistic to play than the classic FarmVille, too, requiring the basic commodity of water in order to keep the farm ticking over. You’ll have a finite amount of water to maintain crops and livestock, so you’ll have to be pretty shrewd with how you distribute it. There are many, many other enhancements in FarmVille 2, and even if you’re quite happy with the original title, Zynga has promised to keep bringing new content and original features to the first iteration. FarmVille 2 is now live on Facebook, although it can be – so I am told – somewhat addictive. Don’t say I didn’t warn you!